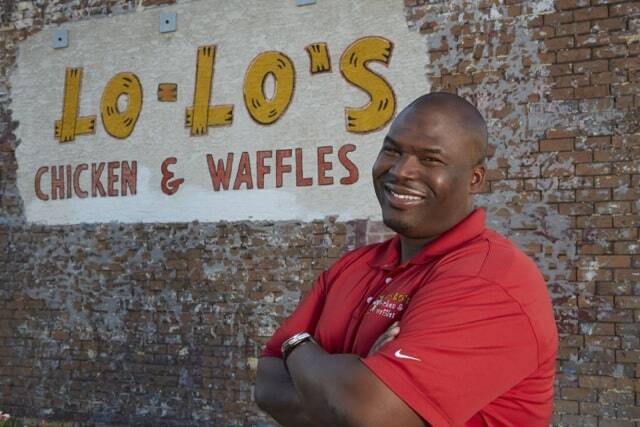 I recently had the opportunity to speak with Larry “Lo-Lo” White, the founder and namesake of Lo-Lo’s Chicken & Waffles, a soul-food casual dining restaurant that is now offering a franchise. My questions are below in bold. Enjoy. Where did the idea for Lo-Lo’s Chicken & Waffles come from? 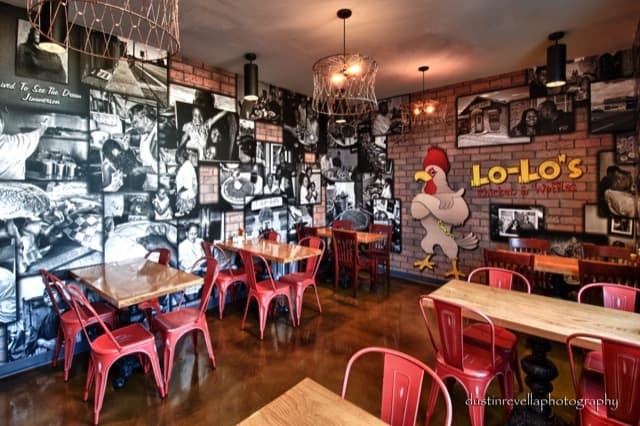 Lo-Lo: The Lo-Lo’s Chicken & Waffles concept started in 1997 when I perfected my fried chicken recipe in the back of my grandmother’s restaurant and opened my first location in Phoenix, Ariz.
Lo-Lo: Through hard work and determination. I had a plan, and I executed it in a way that would resonate well with my customers. Where do you see Lo-Lo’s in five years? Lo-Lo: I would like to see Lo-Lo’s in different cities across the country; we want to bring our soul food to consumers nationwide! Lo-Lo: Nothing. I feel like all of the trials and tribulations we went through gave character and meaning to the brand we created. Lo-Lo: My day starts by seeing my daughters off to school, followed by manager meetings, a morning visit to the Scottsdale location and to Phoenix by lunchtime. Then, of course, I am ready to deal with whatever comes my way. Lo-Lo: The trend of social media. Seeing our presence grow on social media with all the postings and messages we get on our platforms is truly amazing and is helping to spread the word about Lo-Lo’s. Lo-Lo: The grunt work when I was working at Mrs. Whites Golden Rule Cafe. But it helped to teach me what hard work was all about, which has benefited me in my venture with Lo-Lo’s Chicken & Waffles. Lo-Lo: Staying hands on, knowing your brand and supporting your employees. Lo-Lo: Hiring friends and family. You have to learn how to separate the two. I’ve made hiring mistakes in the past, and I’ve learned that there needs to be a distinction between business and pleasure when it comes to managing employees, especially when they are friends and family. Lo-Lo: Consistency is everything!! It emphasizes the knowledge, quality and structure of brand that’s on the path to success. Lo-Lo: I would create world peace over a plate of chicken and waffles and a glass of Kool-Aid. Lo-Lo: I’m a hands-on guy; I use technology where I have to but I like to pick up the phone and communicate. I still carry a BlackBerry! Lo-Lo: The New Gold Standard: 5 Leadership Principles for Creating a Legendary Customer Experience Courtesy of the Ritz-Carlton Hotel Company. It emphasizes the idea of â€œthe answer is yes, now what is the questionâ€ and the importance of refined guest service. Lo-Lo’s Chicken & Waffles follows a handful of great Twitter personalities, but if I had to recommend three, I would say @LarryFitzgerald, @VisitPhoenix, and @ChefEmanuel. Larry Fitzgerald is a class act athlete and represents Arizona in such an honorable way. Visit Phoenix does a great job of showcasing all of the great things the city has to offer. And Chef Emanuel is a great soul food chef, so naturally; the Lo-Lo’s family loves him! Just the other day. My daughters always have me laughing out loud. I never know what they are going to say. The recipe for our secret seasoning is so secret; my wife doesn’t even know it! What’s your website where people can find out more about Lo-Lo’s Chicken & Waffles? Where can people find Lo-Lo’s on social media? Why Do Restaurants Have Menus?